The Hampton Roads Boater Pump Out Program began in 1996 after the Clean Vessel Act was passed in order to reduce pollution from vessel sewage. There are approximately 100 marinas across 17 counties and cities in the which the Program services. The program is is managed by HRSD and funded in part by the the Sport Fish and Wildlife Restoration Grant Program (1996) - administered through Virginia Department of Health (VDH), the City of Virginia Beach (2007), the City of Norfolk (2013), the City of Hampton (2018) and the City of Portsmouth (2018). Our Mission is to promote the proper disposal of sewage from boat holding tanks in order to protect public health and the waterways of Hampton Roads. Our Goal is to prevent the dumping of sewage from boat holding tanks into waterways. Interns educate the boating community on the hazards of dumping waste into local estuaries, creeks, rivers, the bay, and ocean by providing a free pump out of their Marina Sanitation Device (MSD). The crew staffs three pickup trucks, each with a 125 gallon sewage storage tank and 25 gallon portable hand crank pump. Sewage is pumped out of holding tanks using the portable pump and transferred to the truck storage tank. It is then transported to one of the HRSD sewage treatment plants for proper treatment. VDH manages a Marina Program that administers CVA Grants which provide financial assistance for the installation of pump out and sanitary waste dump stations. For more information about the VDH Marina Program and for a map of marinas with pump out facilities, click here. 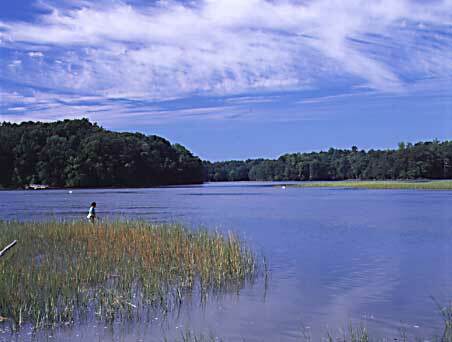 A No DIscharge Zone (NDZ) is a designated body of water that prohibits the discharge of treated or untreated boat sewage. 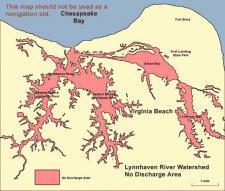 It is also illegal to discharge untreated sewage from boats in all Virginia waters. The U.S. Coast Guard (USCG) regulations require all vessels to disable the Marine Sanitation Device (MSD) discharge capability while operating in waters designated as a NDZ. Type I - is an on-board treatment device using a physical/chemical based system that relies on maceration and chlorination. Type II - is also an on-board treatment device that uses biological or aerobic digestion based system. Type III - is a holding tank or similar device that prevents the overboard discharge of treated or untreated sewage. To request a free pump out please call 757.460.4253 or submit an online request.